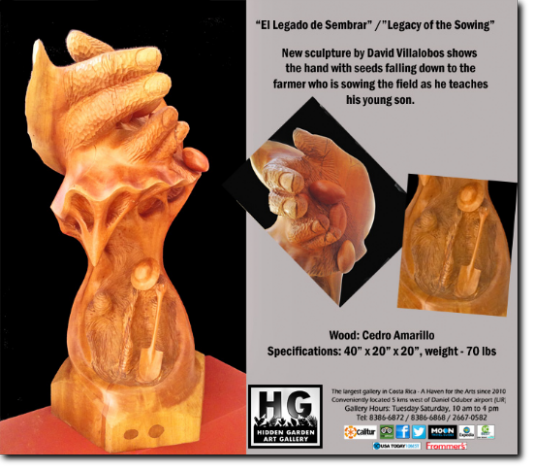 Artist David Villalobos, born in the province of Alajuela, Costa Rica, started to show his talent when he was very young. He expanded his knowledge of sculpture and technique studying under other sculptors from whom he learned the importance of finding his own style to exhibit his artistic language. "Over time, with the perseverance of those who were guiding my process, I managed to acquire knowledge that gave me my own character and independence," says Villalobos. David Villalobos is a lover of the human forms, face and body. He express them easily in the wood, this is what keeps him with an inspiration to do his art. The materials he uses are woods already in waste and decomposition of nature. "Cutting down trees for art is a sacrilege," says David. "We must strive to protect the forest and rivers, to keep in one with nature." Working with a peaceful order and harmony in nature is crucial for David. "It inspires my naturalistic figurative technique as I seek compositions of movement and the dynamics of life." 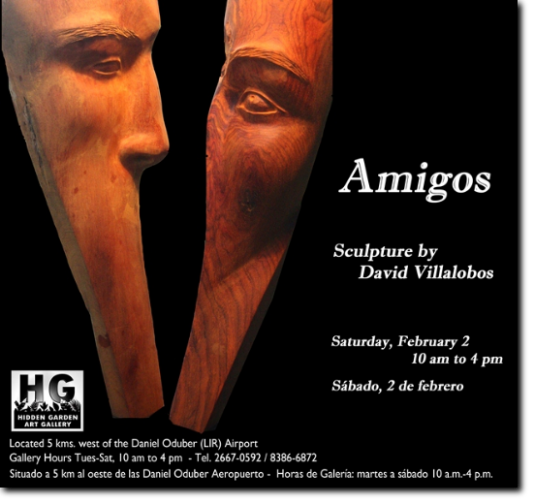 In his continuing exhibit, "Amigos," David explores the circle of friendship, the bonds of companionship and solidarity. Read more about David Villalobos in A.M. Costa Rica; and in Ancora. View the slide show of the opening of "Amigos," here.